Man arrested near Netanyahu's home, said he had bombs and wanted to hurt the prime minister. Police arrested a man who arrived at Prime Minister Netanyahu's with what he said was explosives and threatened to hurt the prime minister. Police had received calls from concerned citizens who reported a suspicious man wandering near Netanyahu's personal residence in Caesaria. The man told police that he had explosives and said that he wanted "to hurt" Netanyahu. The area was cordoned off until police sappers tested the bag and removed any threat of explosives. 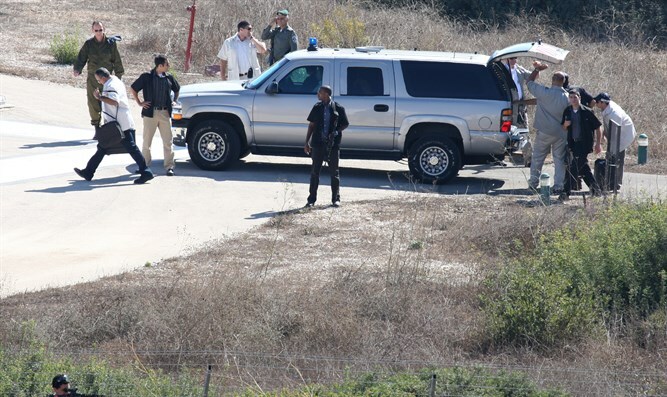 The suspect was brought to a police station in Hadera and will be evaluated by mental health professionals. Aside from the official Prime Minister's Residence in Jerusalem, Netanyahu frequently spends the weekend at his personal home in the affluent city of Caesaria.